The specified file public://inline-images/https_%2F%2Fs3-us-west-2.amazonaws (2)_15.jpg could not be moved/copied because no file by that name exists. Please check that you supplied the correct filename. The specified file public://inline-images/https_%2F%2Fs3-us-west-2.amazonaws (5)_14.jpg could not be moved/copied because no file by that name exists. Please check that you supplied the correct filename. The specified file public://inline-images/https_%2F%2Fs3-us-west-2.amazonaws (6)_13.jpg could not be moved/copied because no file by that name exists. Please check that you supplied the correct filename. 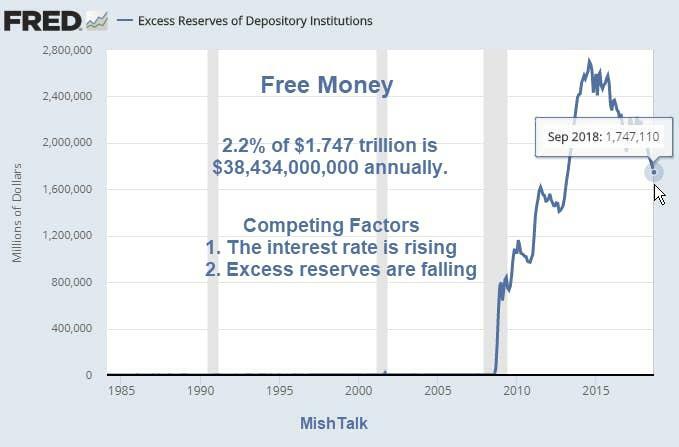 Not only do banks earn free money on excess reserves, they can borrow money and make guaranteed free money on that. The Federal Reserve Bank of St. Louis discusses the Carry Trade in Liquidity. The IOER [interest on excess reserves] has been the effective ceiling of other short-term interest rates. The figure above compares the IOER with overnight rates on deposits and repos. 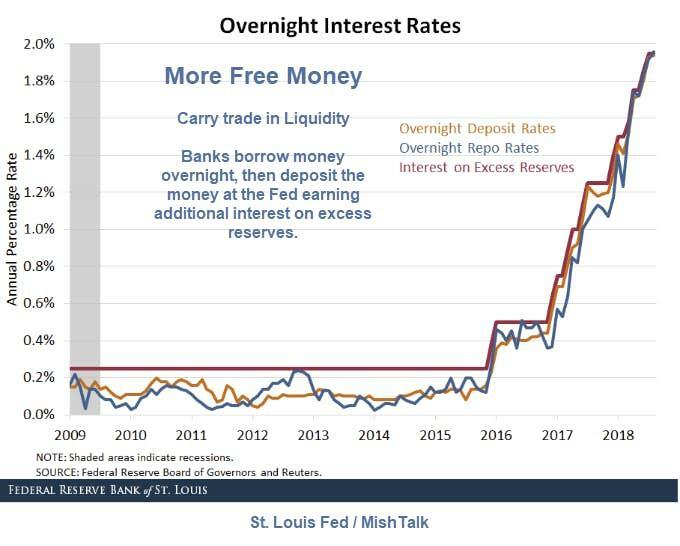 As we can see, the IOER has mostly remained above these two rates, implying that (at least some) banks have been able to borrow funds overnight, deposit them at the Fed and earn a spread, in essence engaging in carry trade in liquidity markets. While the Fed has been busy giving banks free money by paying interest on excess reserves, banks in the EU have suffered with negative interest rates, essentially taking money from banks and making them more insolvent. 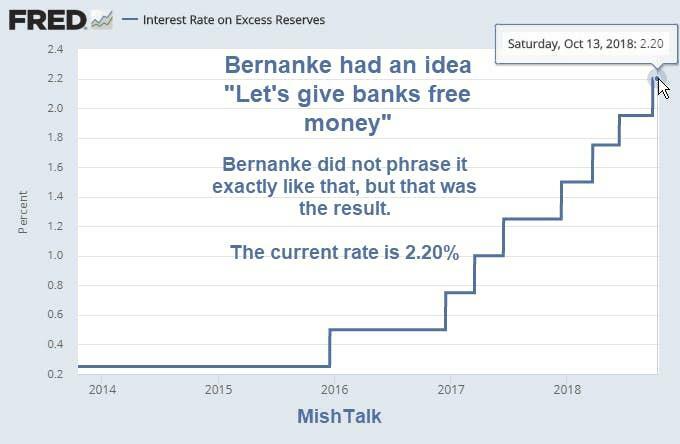 If the goal was to bail out the banks at public expense (and it was), it's clear Bernanke had a far better plan than the ECB.